It’s no great secret that in this age of more affordable quality printing and crowdfunding initiatives that self-publishing has become an increasingly viable model for producing and distributing comics work. In amongst all those polished small press projects with high production values and creators with raised profiles, though, it’s sometimes easy to forget the democratic, DIY culture that the scene was founded on. Fortunately, we still have anthologies like Dirty Rotten Comics championing creators of all levels of technical ability and experience to remind us of the vital importance of grassroots publishing in bringing first-time comickers to a greater audience. 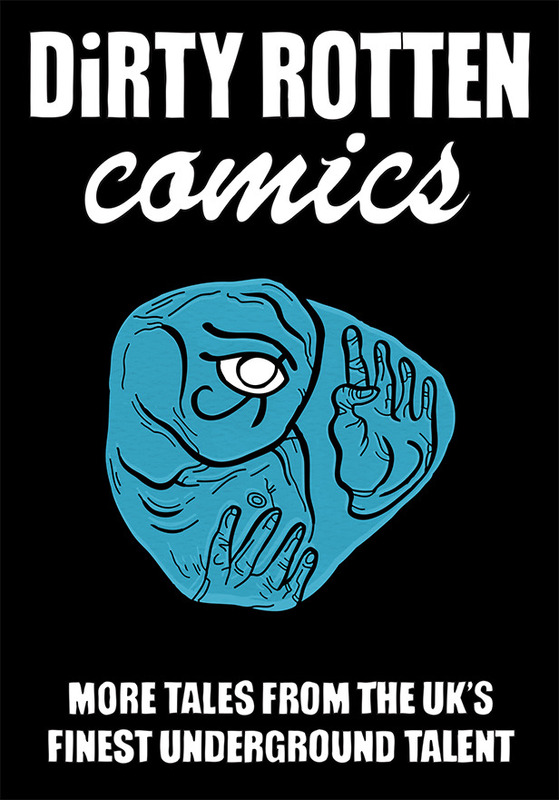 Dirty Rotten Comics #3 puts me in mind very much of the early days of Avery Hill Publishing’s Reads anthology, back in its first volume incarnation. It’s an unpredictable mix of established names, up-and-coming talents, and artists whose work – I think it’s fair to say – is at a very early stage of its developmental journey. The DRC editorial duo of Gary Clap and Kirk Campbell have recently been contributing to our ‘State of the Small Press Nation’ articles in this column, and are quick to express their commitment to providing a platform for creators of all shapes in their mission statement on the Dirty Rotten Comics site here. Unlike the usual multi-contributor project of this type there is no overarching thematic bond between the pieces here and, as a result, what we end up with is a rather eclectic array of differing subject matter and stylistic approaches. 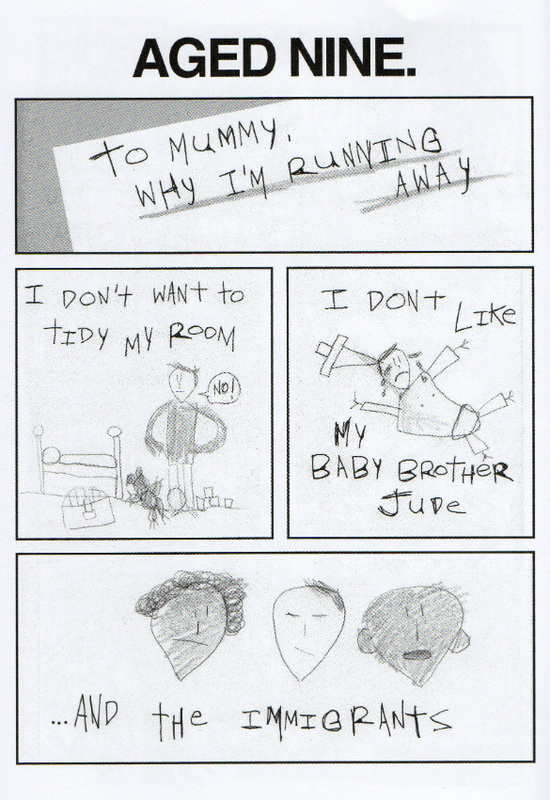 Matthew Dooley’s surreal opening one-page strip ‘Balloon Head’, for example, is as fine an example of a complete nine-panel narrative as you are ever likely to see, while Claude TC provides a cutting and deliciously witty piece of satire on the all-pervading influence of television in his two-page ‘Gigantic Face Wall’ (above). 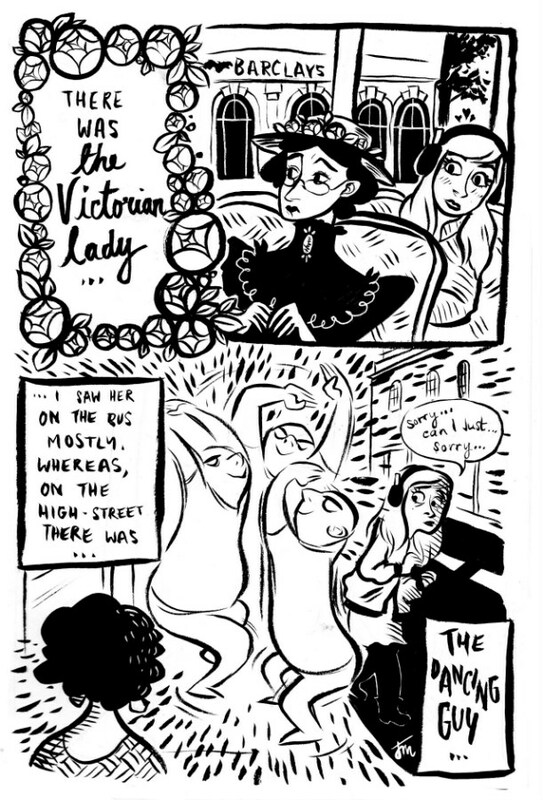 Jess Milton is one of the most impressive newer talents on the small press scene that I’ve come across in the last year and I was very taken with her work in the To Arms! 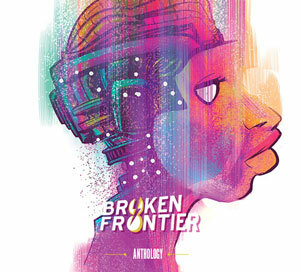 anthology last year. 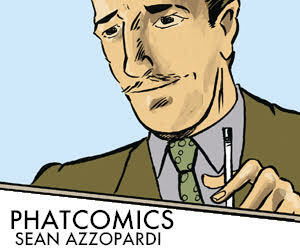 I have been mentioning a number of creators over the last couple of weeks in ‘Small Pressganged’ (including Rozi Hathaway and Alice Urbino) who I think you should be keeping a very close eye on in 2015 and Milton is very much a part of that list. 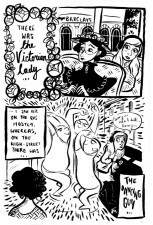 The vibrant visuals as she tours the streets and recounts her encounters with the locals in ‘Kentish Town’ (below left) are by far the highlight of the entire comic. 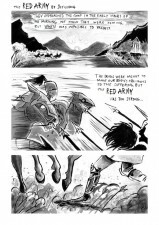 I was also very impressed with Jey Levang’s allegorical slice-of-lifer ‘The Red Army’ (below middle) which veers off into an unexpected denouement and shows a skilful grasp of how to structure a complete short story in comics form. 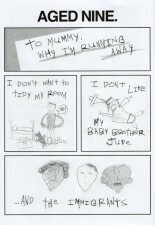 Elizabeth Querstret is also on good form with a typical example of one of her endearingly self-deprecating diary comics in ‘Love Thy Neighbour’ and Kirk Campbell’s ‘Aged Nine’ is a well-crafted look at the world through a child’s eyes with a topical edge to it. Hector Lowe is a less familiar to me but his ‘Bangers & Mash’ is a playful fusion of IPC/DC Thomson style characters and modern ennui – jolly japes replaced by hanging around on rooftops reading dubious magazines and blowing up bird corpses. It tails off without a satisfactory endnote but there’s much here to suggest his work is worth further investigation. And Alex Ross (no, not that one) gives us ‘The Date’ which follows a disastrous romantic liaison between a lonely young gent and a giant praying mantis who he meets via Tinder. It’s predictable in its conclusion but no less funny for that. If you’re a fan of the philosophy of publications like Bear Pit or the early days of Team Girl Comic then you’ll appreciate exactly what it is that Clap and Campbell are trying to achieve with Dirty Rotten Comics. It’s a laudable exercise and an invaluable platform for the disenfranchised would-be practitioner. Undoubtedly there is work in these pages which is indeed unrefined – to say the very least – but even if that doesn’t appeal to you then the spirit of the book should, and the hybrid set-up of more experienced creators with the obvious novices ensures there’s something for everyone here. 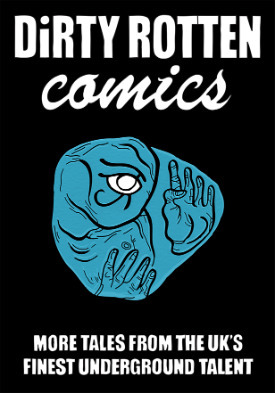 Those wishing to become a part of the Dirty Rotten Comics line-up in the future can find out about submitting to the Spring 2015 issue here. For more on Dirty Rotten Comics visit their site here. You can order copies of #3 here priced £3.00. Staff Picks for September 6, 2017 – Lazaretto, Extremity, What is a Glacier?, Last Girl Standing and More!